So this week I made delicious burgers. I mean when I said they tasted like real meat...damn! They were good as hell. I used the Beyond Meat beast patties. They were a little oily for my tastes, and smelled like cat food out of the package. But the taste was amazing. I found them at Safeway, in my area only Whole Foods and Safeway carry them. Enjoy the delicious pics. I made some potatoes to go with them. The color of the week was White. However, we had a spirit day on Thursday and had to wear as much blue as possible, to win a lunch. You know your girl came thru with the win...check the pics at the end! I am still using the Vegan Cookbook from last week. This week I picked chili. I love chili, but I don't like soupy chili. I am not a fan of the broth. I miss eating my quick chili, it's so dang good. In this chili I have, onion and bell pepper. I should have added mushrooms, but totally forgot. I also have kidney beans, black beans and corn. I was going to add some Rotel, but I wasn't in the mood for too spicy. In hindsight, I should have added it, just to make the chili a little more thick. But it was good enough. This week is light pink. I went to NY&Co and used up a lot of my coupons. That's really the only way to shop there...so I had some killer deals so I had to go see what they were offering. There wasn't much that I was thrilled about, but I did get some cute pants--2 sizes smaller I might add-that I knew I had to wear Monday. And a cardigan and blouse, that will be seen below. I got some other pieces, but they didn't match my color theme. I am still doing IF, and I have switched it up to having my CLA shake and some peanuts for lunch and then a nice dinner. I bought a really nice vegan cookbook and so far I love it. I attempted to make a baked potato taco. Using lentils as my meat product. Why I never thought of that myself I will never understand...but I'm glad I was hipped to the book either way. If you're interested give it a look. I added some salsa and a little bit of cheese I had left over from a different event. Not vegan cheese, but I can't waste food that I had. When I say this was so dang good, I mean ooh wee. I ate this so fast every night. Friday I like to eat out, and here lately I have been obsessed with Subway. The veggie delite footlong, with avocado and sweet onion dressing is the bomb. I can't wait until I get off work tonight to go get it. I will start making my own sandwiches next week, cause it doesn't make sense to pay for a simple sandwich. It's a habit of spending money for no reason, I have to get out of. Enjoy my dinner, like I did. This is the week of chambray denim! I wanted to wear this denim shirt I had, so I went on the hunt for chambray denim colors in my closet. Surprisingly, I had quite a bit. I did go out and buy a denim dress I saw at Old Navy, so I had to add one item. Not bad if I do say so my self! Anyway enjoy these looks. And let me tell you, this mess gets so wrinkled, more than I have ever noticed in any clothing item. So...this week I am trying something very different. I don't have food prep for the week. I am vamping my intermittent fasting in what I am eating, and cutting my lunch as far as actual food is concerned. I am still having snacks, so I have peanuts, a handi snack (I'm aware this is not vegan) and some Scottish cookies (as well as these cookies). The actual bulk of my lunch is a drink. I am taking CLA powder. I cannot swallow those enormous pills, so I opted for the powder. I went to GNC over the weekend and went in looking for something that would help me improve on my weight loss journey. 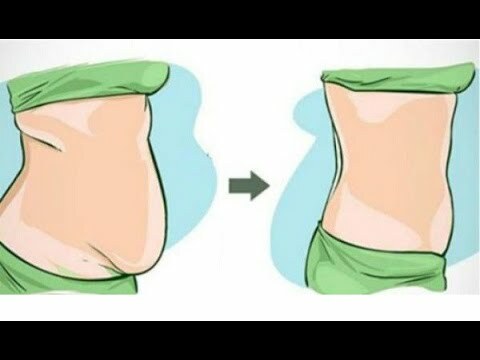 I am struggling with belly fat, so this was my main concern. I have been losing weight everywhere, including my belly, but it is coming off so slowly. At the advice of the employee, he said try a CLA. This is supposed to help reduce belly fat, improve muscle tone etc. My main concern was the belly fat, so that's what I went with. So far so good. I take to scoops of the powder with 6 oz of water. I am going to cut it back next week to 1 scoop of powder and 4 oz of water. This is only a 30 day supply, and if I keep with the 2 scoops a day I will run out before I can see proper results. I was told that this needs to be continued for 60 days to see results. I must say, that I think I see results already after 4 days. I took my belly measurements before starting and was 40.5, this morning it measured 38.0. (2.5 inches) That is some major progress in my opinion. Faster than I have lost with all my working out that's for sure. So I will continue and see if I can improve and lose this god awful pouch, that keeps lingering. Along with the CLA I am also taking L-Carnitine. This is in liquid form, so I add it to my BCAA and use it as part of my pre-workout. I like taking my BCAA as a pre-workout rather than drinking it throughout the work out. I think with the combination of the CLA and the L-Carnitine I have found a proper blend to help with my belly fat issue. I still intermittent fast, so I try to drink my CLA about 2 pm, eat my snacks and then call it good. I have noticed, now that I am not actually eating food, I drink even more water. Which is right up my alley. Then I go to the gym after work, and have dinner no later than 9 pm. I am trying to fast for about 6-7 hours a day, so this is working out so far. For dinner I have been making noodle bowls. Similar to what you can get at Vietnamese restaurants. I used tofu and marinaded it in a teriyaki type glaze and baked it. I will say that baking does not make it as good as they claim online. It was still very soft and not baked at all. So the next few days I attempted grilling what was already baked. It didn't really change anything and the tofu was still quite soft. But all in all, it was pretty good. Enjoy my delicious dinner I had this week. This week was lavender. I had a taste for purple nails so here we are. I must say for real this week I have actually noticed my weight loss in my clothing. Before I could see it sometimes, but this week I really have seen it. It is very exciting to see. Now if I can just get it to come off a little faster.